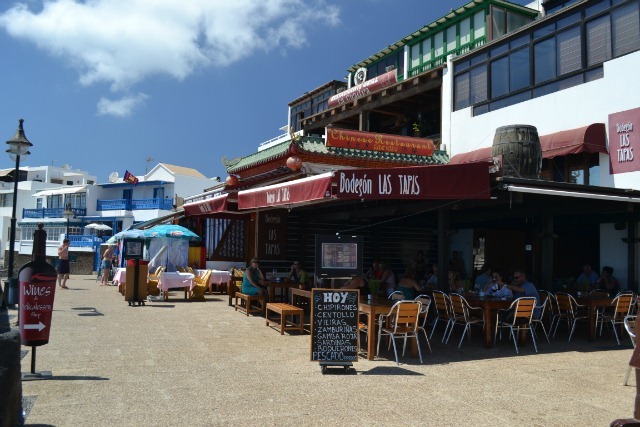 We discovered a lovely restaurant recently The Bodegón Las Tapas is situated directly on the Avenida Marítima promenade in Playa Blanca between the old harbour and the town beach. Our mission was to find somewhere offering fresh fish for lunch, we walked along the seafront from the old harbour and Bodegón las Tapas stood out as an authentically Spanish and stylish restaurant. The restaurant has well spaced wooden tables in the shade, the light sea breeze was very welcome after the heat of the day. Warmly welcomed, we were given the menus and ordered a glass of dry white wine to sip. A couple of things struck me straight away, there was lots of different dishes to try, the English version of the menu was superbly translated and every item was marked with a red or green circle denoting if it was suitable for gluten free or vegetarians. They also had three different versions of a degustación de menú to try twelve different dishes priced at €25 to €31 per person with a minimum of 2 people. It was already a place we were going to come back to and we hadn’t even tasted the food yet! We ummed and aahhed over the menu, it was so difficult as there were many dishes we wanted to try, opting in the end for the fresh fish of the day. I chose the gambas rojas, these red prawns were delicious, served simply on a plate cooked in olive oil, salt and garlic. We were unsure which of the fresh fish to pick so two different varieties were brought to the table for us to see, with an assurance that they had been swimming in the sea earlier that morning. Selecting the smaller one, this was returned to the table cut open and grilled. Both were absolutely fabulous. I also enjoyed a ration of bread served Spanish style which had been warmed under the grill, spread with tomato frito and served with lashings of garlic sauce to top as required. We asked for the bill which arrived with a delicious plate of sweets to finish our meal off. There was a mint chocolate round, a salty nut brittle and a piece of Turkish delight. Price wise, the house white wine was €2.40 per glass and our fresh fish dishes 15-19€. Bodegón las Tapas also has a wine and delicatessen shop. 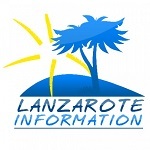 See all our Lanzarote restaurant reviews.